"Paisley" is by Wildcard out of Delina. She is a Bay with beautiful markings including the paisley design on her pretty face. 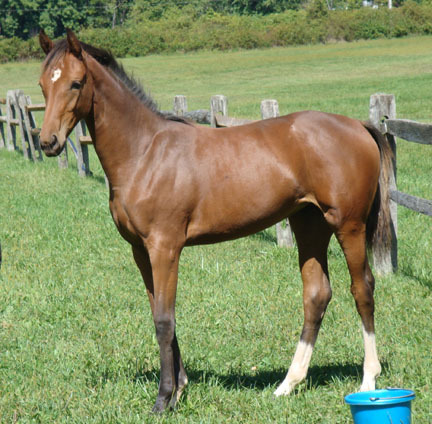 Very tall and correct, this filly looks to be quite promising and will have a bright future. "Manny" is by DeLaurentis out of Falim Amiri. He will be Grey and is strikingly handsome with very large impressive stride in all gates. Topping that is the most loveable personality. 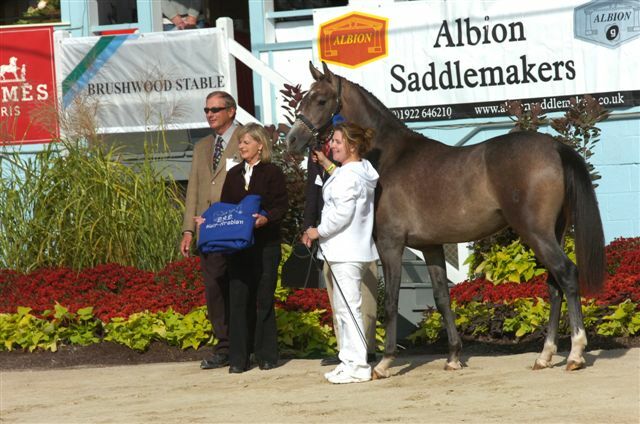 Manny won the Arabian Sport Horse class of Devon 2008 and took second in the Weser Ems class. Not bad for his first debut. "Rit" is by Rosenthal out of Safima. 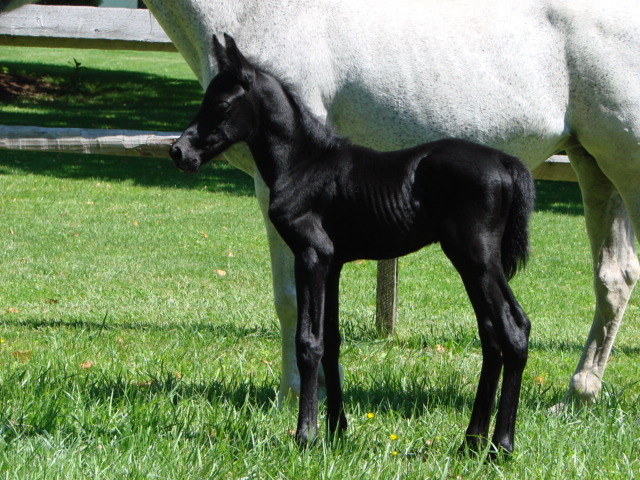 He will be Grey and is quite the looker. Rit was approved by the German Oldenburg Verband and was given the status of Premium as a Weser Ems. He has much potential in just about any discipline.